The spinning of consciousness on the principles of a mathematical and poetic algorithm. Gregory Stasiak’s ‘Math Lessons‘ is a continuation of a project entitled ‘Video Tome’, which is a presentation of poems for the internet. The poems included in this ‘omnibus’ of work are presented through video and are published exclusively through digital media. While the intent of ‘Video Tome‘ is to be broadcast as internet content, Stasiak extends this mass broadcasting by copying the poems to DVD for more intimate presentations. For these occasions, the poet uses a monitor to exhibit the poems included in the “Video Tome” project. 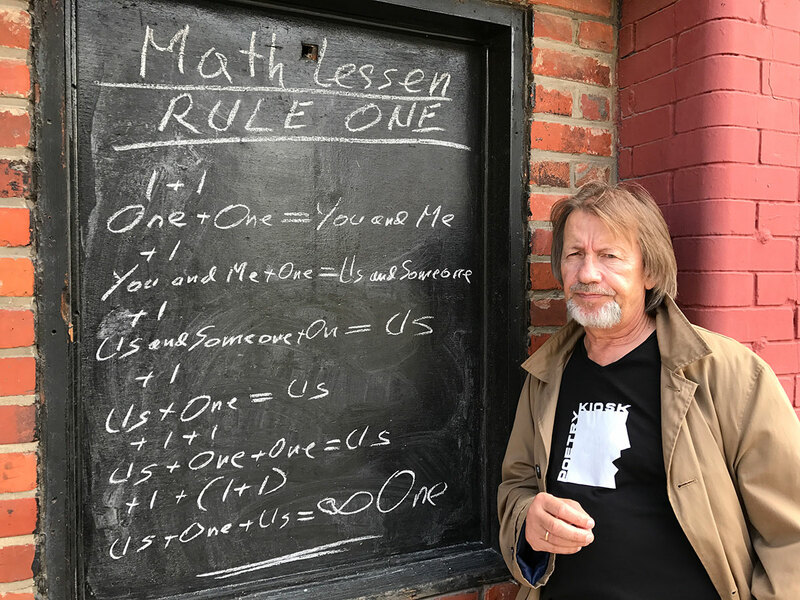 ‘Math lessons‘ shows itself as a series of 6 performances executed as poems that were video recorded in the late Fall and the Winter of 2018. Stasiak selected a number of walls in the downtown Windsor area on which he hand wrote his poems in chalk on plywood. The physical exertion of doing this is reflected in the athletic drama of inscribing his thoughts. The viewer becomes a kinesthetic extension of this active process of making poems. 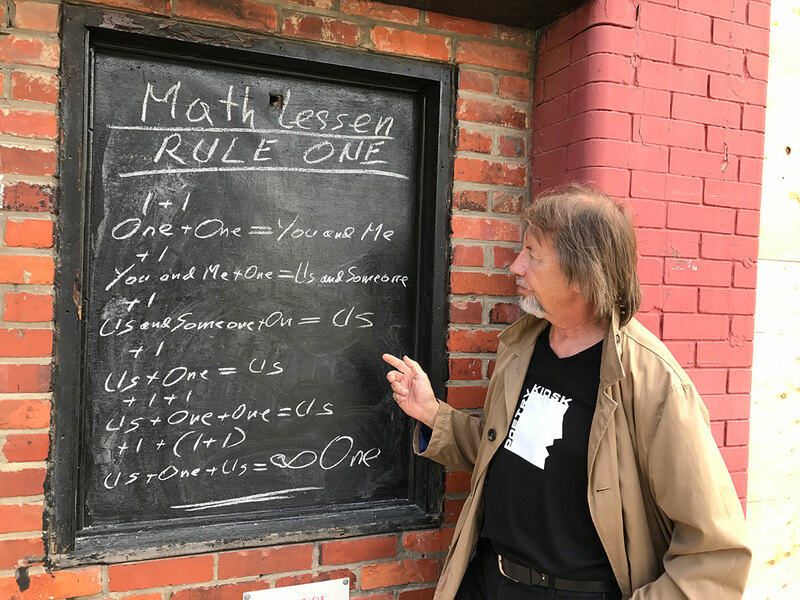 Stasiak is premiering these ‘Math Lessons‘ at the Phog Lounge on March 21, 2018 as part of World Poetry Day. The video will be in continuous viewing mode on a wall in the Lounge where the public is welcome to visit and view Math Lessons‘.